I'll have it checked for regularly then. Just a heads up, this only seems to affect XRt and XCa models with the Arrow can (or anything with the added Arrow can). Stock exhaust is fine. Didn't want to create mass panic amongst Gen 3 owners! Good post XcaTel. Noticed the centre stand on my Gen 3 XCA was smacking the drive shaft when talking it off the stand. Rubber stopper finally snapped off. After seeing your pictures, got the exact same marks on the exhaust. 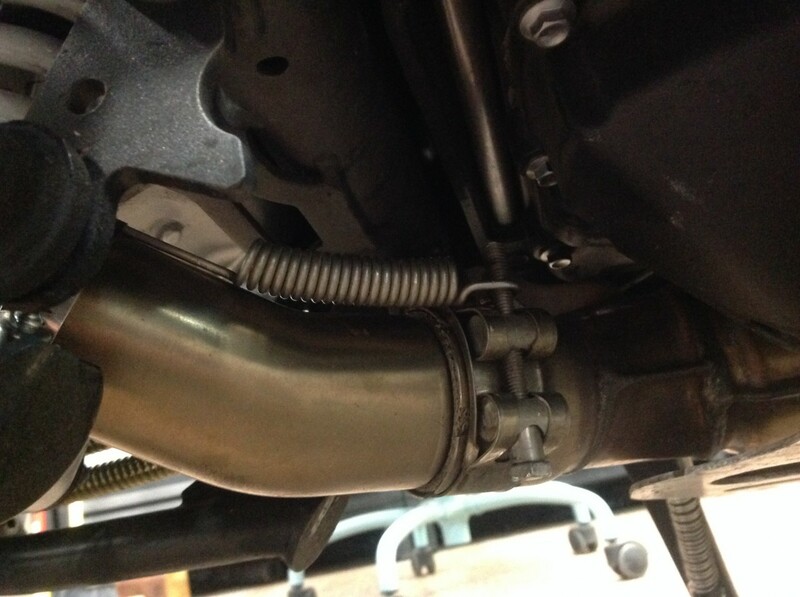 Dealer replaced the rubber stopper, tightened the exhaust clamp and put a claim in for the drive shaft housing and exhaust, which was approved within hours. Then usual first class Triumph customer care experience since first getting the Explorer in 2012.. and I've tested it many, many times. Triumph got back to me and all will be replaced, no quibble at all so all will be good. This... I used Ultra copper, high temp RTV silicone sealant when I installed my Scorpion Serket. Let it cure for 24 hours & take it out & ride it. It will stink for 4 or 5 miles & then you're golden. The scorpion also came with a pair of springs at the inlet of the can similar to what Hawk 281 has at his link pipe.